Notice: Georgia’s Administrative License Suspension rules have changed as of July, 1, 2017. Click here. Why Hire a Criminal Defense Lawyer? Why hire a lawyer? After being arrested for a crime, you cannot afford to wait when hiring a Marietta criminal defense attorney. Only a lawyer with extensive experience in the criminal justice system will know exactly how to investigate the details of your case and build your defense. Should you choose a public defender or an inexperienced attorney to represent you, the results can be devastating. Private attorneys are the only lawyers who will give their full attention and personal interest to your defense, fighting relentlessly against your charges. Let’s go over the reasons you should hire a lawyer. This means that our firm has more than 25 years of experience in criminal justice. Should you choose to retain the defense of one of our attorneys, you can have confidence in your legal representative’s skill and experience. We will study your case thoroughly to gather the evidence and statements needed to fight a conviction. As seasoned trial lawyers, we are experienced in the courtroom and will not waver in the defense of your rights. Our legal team also includes former prosecutors who have experience on both sides of the criminal process. This gives us the ability to defend you from all possible angles and also gives us an edge against the prosecution. 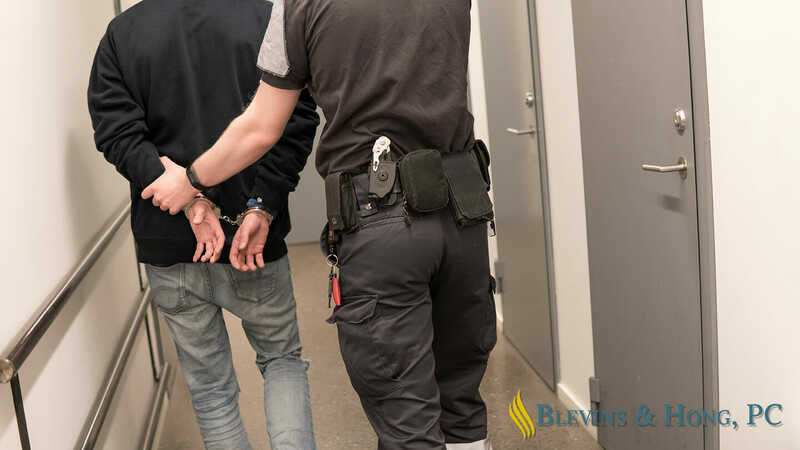 No matter how small or inconsequential your charges may be, such as a misdemeanor or first-time DUI, you cannot underestimate the serious nature of a conviction. Even a misdemeanor can incur heavy fines and prevent you from achieving the career you’ve always dreamed of having. Take action today by hiring an aggressive criminal defense lawyer from the offices of Blevins & Hong, P.C. Our legal team is prepared to provide the aggressive and effective defense you need. CONTACT BLEVINS & HONG, P.C. TODAY! Hire a lawyer today! Take advantage of our free case evaluation today to learn what a criminal attorney from our firm can do to defend you from a criminal conviction. We have received countless client testimonials praising out services and success and we can provide you with the same capable and vigorous representation. Contact our firm at your earliest convenience to discuss your options with a member of our legal team. We can help, so contact a Marietta criminal lawyer right away to set up your consultation appointment. Perfect attorney. Mr. Blevins is very efficient, gets results, and makes the process as stress-free as possible. Richard is a five star attorney he followed through with everything he said he would do. We highly recommend him.